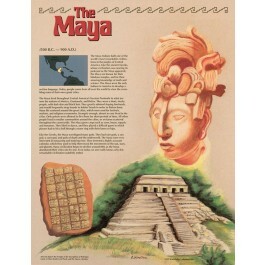 This unique educational poster features artistic renderings of artifacts from the ancient Mayan civilization, a concise and well-explained background history of the Mayans, and a map showing where the civilization was centered. 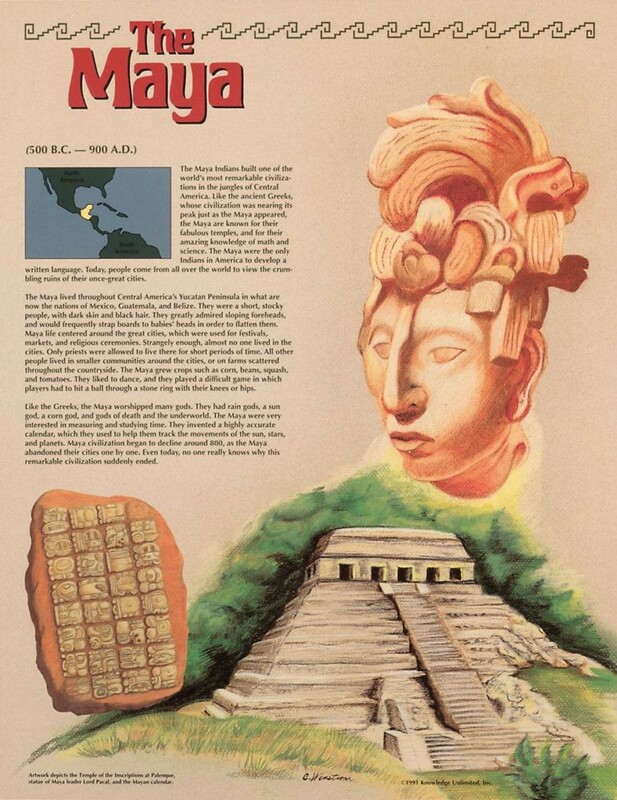 The Mayan civilization lasted from about 500 B.C. to 900 A.D. During that time the Maya Indians built one of the world's most remarkable civilizations in the jungles of Central America. Known for their fabulous temples, which are still visited today, they also developed an advanced knowledge of math and science, as well as a written language.